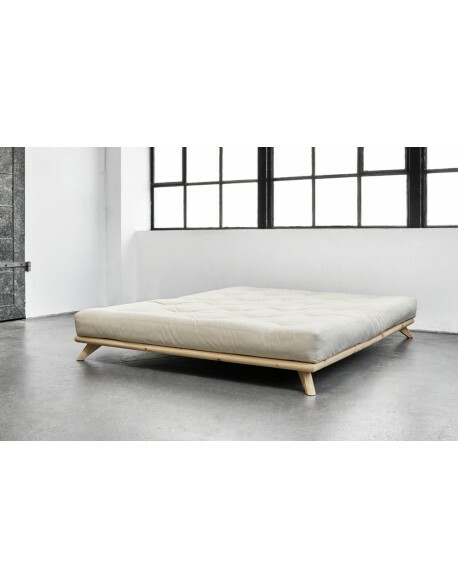 The ever popular Dock Futon Bed by Karup Design of Denmark can be purchased as the basic frame only for you to add your own new or existing mattress....read on below.. Select if you require side tables. 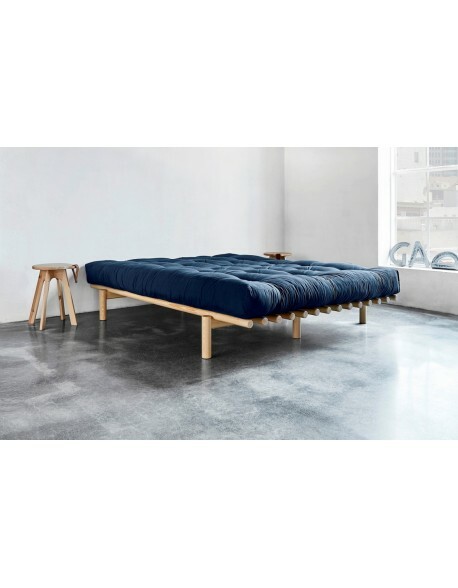 Yes - add a pair of side tables + £59.00No - no tables needed thanks. 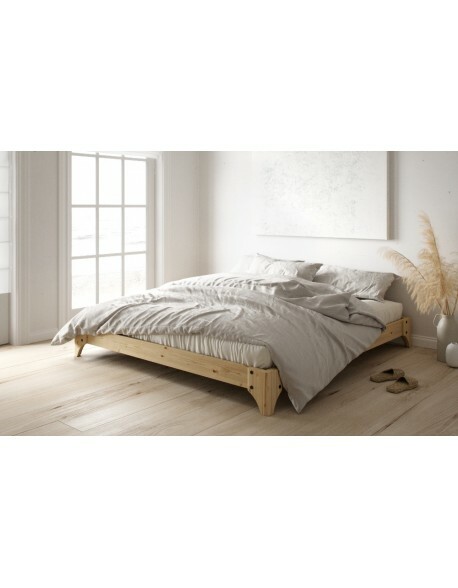 The Dock Futon Bed has been a best seller for us for many years, it's authentic low level style looks great in contemporary homes and apartments, we are now offering the Dock bed as the basic slatted wood frame for you to combine with your own new or existing mattress. 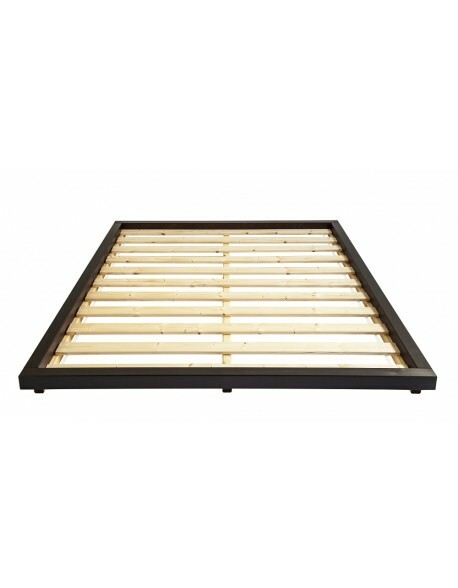 The timber frame is manufactured in FSC Certified (managed forest) Scandinavian redwood pine from Europe which is finished in a 'Wenge' stain giving it a dark chocolate look, the frame features flat pine timber slatting making it suitable for use with open / pocket sprung, memory foam or latex style mattresses or combinations of those filling types. 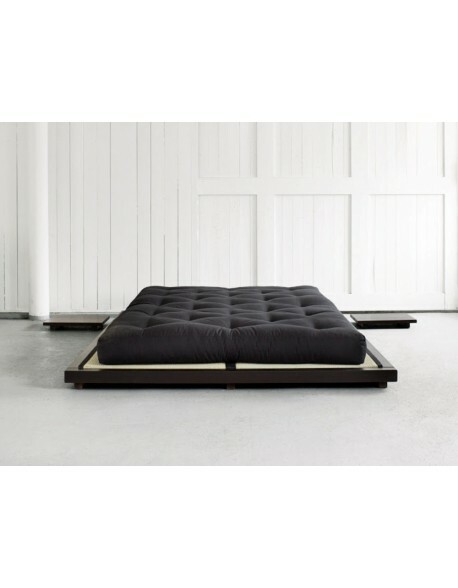 The Dock Bed also has the option of a pair of side tables please choose from the menu above. The full dimensions are given by clicking on the Data Sheet tab. 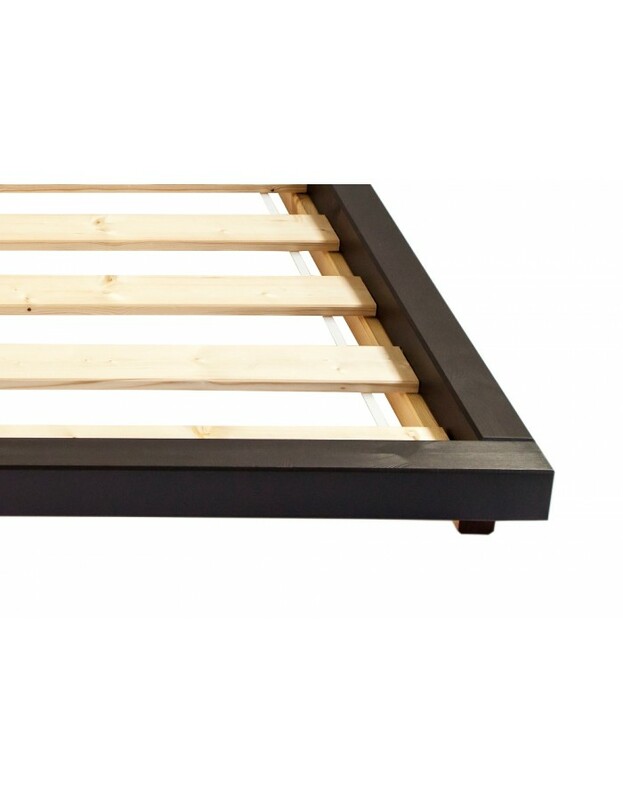 The Dock Bed is in stock for rapid delivery. Futon frame materials FSC certified (managed forests) redwood pine timber frame with dark chocolate brown finish, natural redwood pine slats. Delivered flatpacked? Yes - very easy assembly - allow around 1 hour. How long for delivery? In stock for rapid delivery in both sizes, typically 4 to 7 days, we will call you to arrange a suitable delivery day. If your requirement is urgent please call us on 01752 662030. Recommended Use Use as an everyday bed.